“I’ve got a solution,” Encore’s CFO tells Brandon, “but it’s unorthodox.” It’s 2005, and Brandon Black has just been promoted to CEO of Encore Capital, a company struggling to navigate an increasingly difficult business environment. Faced with a rapidly declining stock price and low workplace morale, Brandon knows he needs change—and fast. Following his CFO’s advice, he and his executive team start working with Learning as Leadership (LaL) and its president, Shayne Hughes. Through their partnership, Encore’s executive team learns to root out the unproductive ego habits that undermine collaboration and performance. As they instill these more effective behaviors throughout the organization, Encore begins to solve problems collectively, prioritize resources without infighting, and focus on the initiatives with the greatest strategic value. When the financial crisis of 2008–09 forces 90 percent of its competitors out of business, Encore thrives, with its profits increasing by 300 percent and its stock price by 1,200 percent. 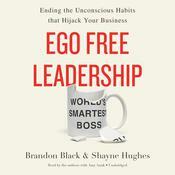 Told from two lively first-person perspectives, Ego Free Leadership brings listeners along for Encore’s incredible success story. They’ll see a CEO overcome his unconscious resistance to modeling the change he wants in his team and discover a time-tested road map for eliminating the destructive effects of the ego in teams and organizations. “I’ve got a solution,” Encore’s CFO tells Brandon, “but it’s unorthodox.” It’s 2005, and Brandon Black has just been promoted to CEO of Encore Capital, a company struggling to navigate an increasingly difficult business environment. Faced with a rapidly declining stock price and low workplace morale, Brandon knows he needs change—and fast. Following his CFO’s advice, he and his executive team start working with Learning as Leadership (LaL) and its president, Shayne Hughes. Through their partnership, Encore’s executive team learns to root out the unproductive ego habits that undermine collaboration and performance. As they instill these more effective behaviors throughout the organization, Encore begins to solve problems collectively, prioritize resources without infighting, and focus on the initiatives with the greatest strategic value. When the financial crisis of 2008–09 forces 90 percent of its competitors out of business, Encore thrives, with its profits increasing by 300 percent and its stock price by 1,200 percent. 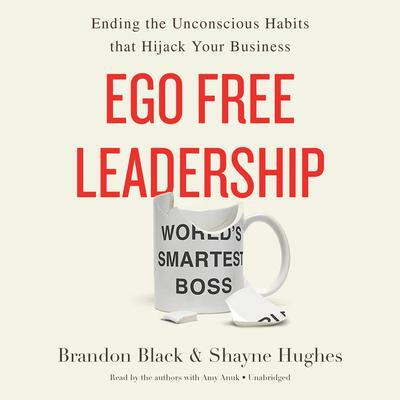 Told from two lively first-person perspectives, Ego Free Leadership brings listeners along for Encore’s incredible success story. They’ll see a CEO overcome his unconscious resistance to modeling the change he wants in his team and discover a time-tested road map for eliminating the destructive effects of the ego in teams and organizations. Brandon Black retired as the chief executive officer and director of Encore Capital Group in 2013. He is currently the president of the board for the Country Montessori School and the chairman of the board for Santa Fe Christian Schools. He also serves as a CASA (Court Appointed Special Advocate) for a foster youth. Shayne Hughes is President of Learning as Leadership, a thirty-year-old leadership development and culture change company based in the San Francisco Bay Area. Shayne has been a featured speaker at the San Francisco Commonwealth Club, a frequent presenter at Systems Thinking in Action, and has given many corporate keynotes. He has also taught leadership at the University of California Haas School of Business, the University of Michigan’s Executive MBA Program and the Darden School of Business.